David Reese, “CMSI Professors to Speak at China Defense and Security Conference,” Naval War College Public Affairs, 10 January 2010. 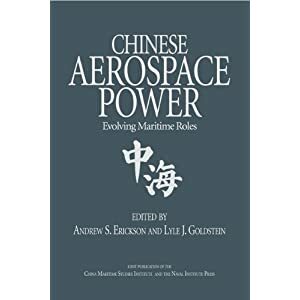 Andrew Erickson and Nan Li, professors with the China Maritime Studies Institute at the Naval War College, will serve as guest panelists at the China Defense and Security 2011 conference in Washington, D.C. on February 10. Their panel will examine issues involving Naval Modernization and Strategic Thinking. 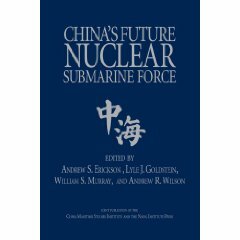 Erickson’s “China’s Anti-Access/Area Denial Capabilities” will explore the People’s Liberation Army (PLA)’s pursuit of a two-level approach to military modernization. This involves consistent focus on increasingly formidable high-end ‘anti-access/area denial’ (A2/AD) capabilities to support major combat operations in China’s ‘Near Seas’ (Yellow, East, and South) and their approaches, and relatively low-intensity but gradually growing capabilities to influence strategic conditions further afield (e.g., in the Indian Ocean) in China’s favor. “The PLAN’s Evolving Naval Doctrine and Strategy” will be the topic of Li’s presentation. 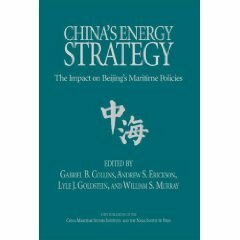 He’ll examine changes in China’s naval strategy, drivers for changes and implications. 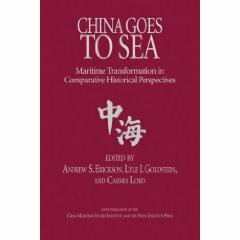 Li will also explain the issue of translation, the issue of Soviet influence on China’s naval strategy, and the relationship between China’s naval strategy, military strategy and national strategy. The Jamestown Foundation, an independent, non-partisan research institution, is hosting the event to explore the challenges to China’s military rise and its implications for global security. The conference will also discuss how China’s rise as a global power has raised increasingly complex and far-reaching political, economic and security issues. 9:15 A.M. – 10:30 A.M.